Ice cream and candy is a familiar combination, but few candies are so well suited for ice creams as good old marshmallows! 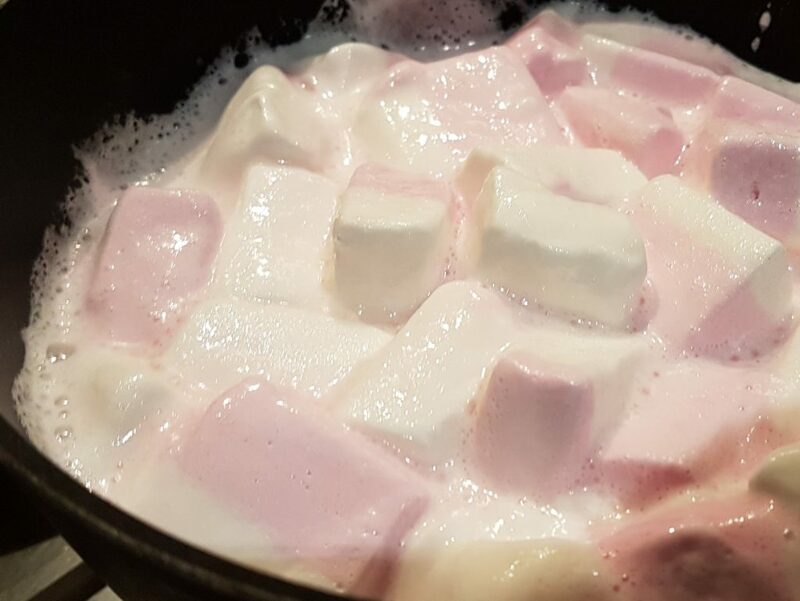 Since the fluffy blocks are made up almost exclusively of sugar and gelatin, there isn’t even any need for adding extra sugar, nor other stabilisers – all you have to do is to melt the marshmallows and let them work their magic, donning your ice cream both a delicious marshmallowy touch and a great consistency! Oh, and let’s add some good-quality chocolate to win over even the most candy-suspicious chocolate lover! 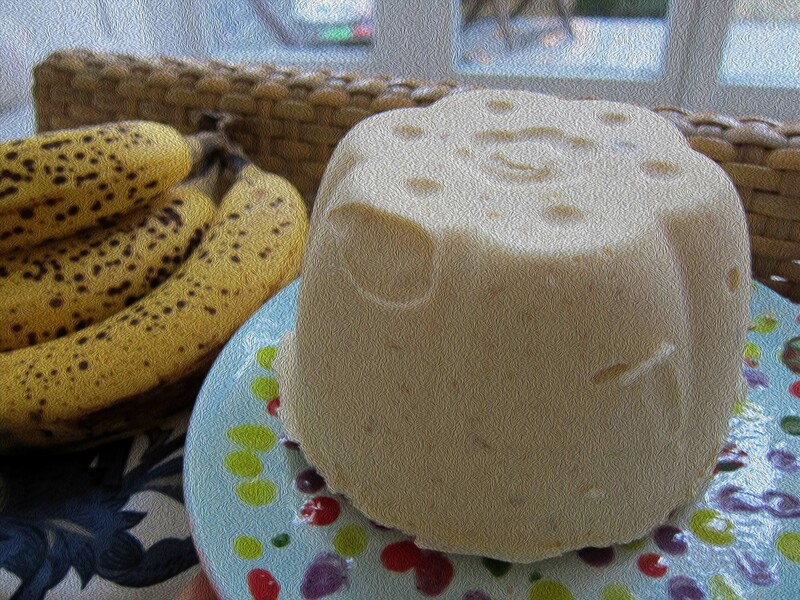 Marshmallows – squishy goodness surprisingly suitable for ice cream-making! A marshmallow is a squishy, sugar-based candy which I’m personally very fond of. 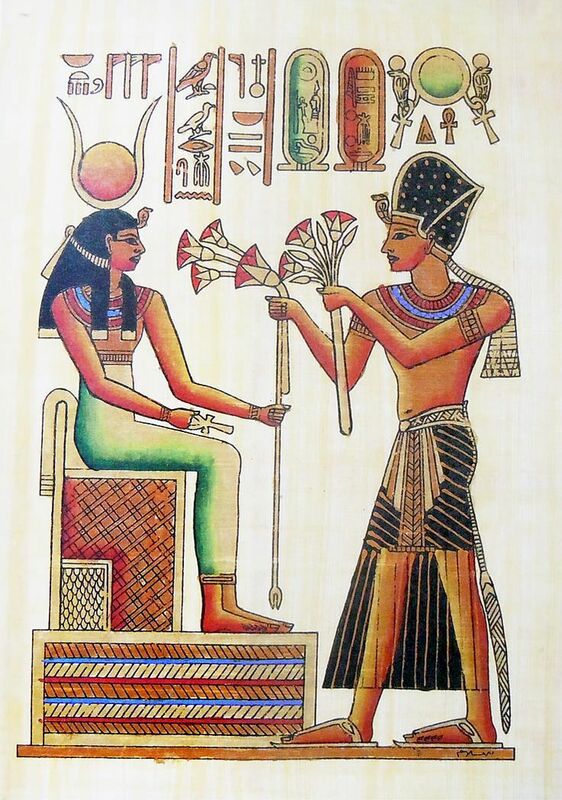 Did you know that its history dates all the way back to ancient Egypt? That’s right: it was a very privileged pleasure so you’d probably have to be close to the pharaoh to enjoy these early marshmallows and their purported medical benefits (helped to heal wounds, sore throats and coughs). In those days, the marshmallows consisted of a mixture of boiled-together mallet root pulp and honey. In our modern era, however, marshmallows typically consist of sugar, water, gelatin and corn starch. That’s not exactly the formula for a healthy and sustainable long-term diet, but it sure makes marshmallows very well suited for ice cream – as just mentioned, there is no need for any additional sugar in this recipe. And the gelatin will also help ensuring a nice texture and a overall scoopable consistency. (Not fond of gelatin? – If you can’t find non-gelatin marshmallows in your shop, try making your own ones and replace the gelatin with pectin , its “vegetarian cousin”, or some other suitable substitute). Oh – and the recipe is ridiculously easy to make. In other words – get hold of some marshmallows and we’ll get going! Can you heat milk? That’s about how difficult this ice cream is to make! 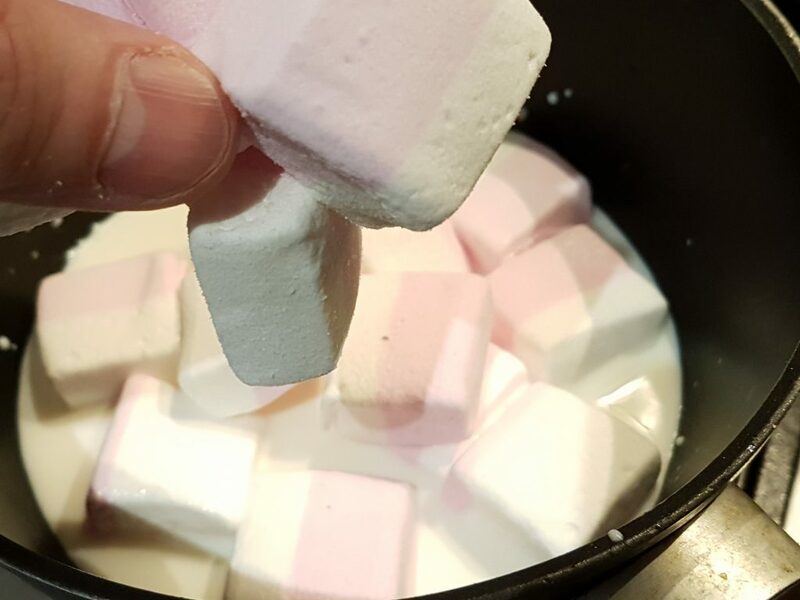 Heat the milk in a sauce pan, then add the marshmallows. 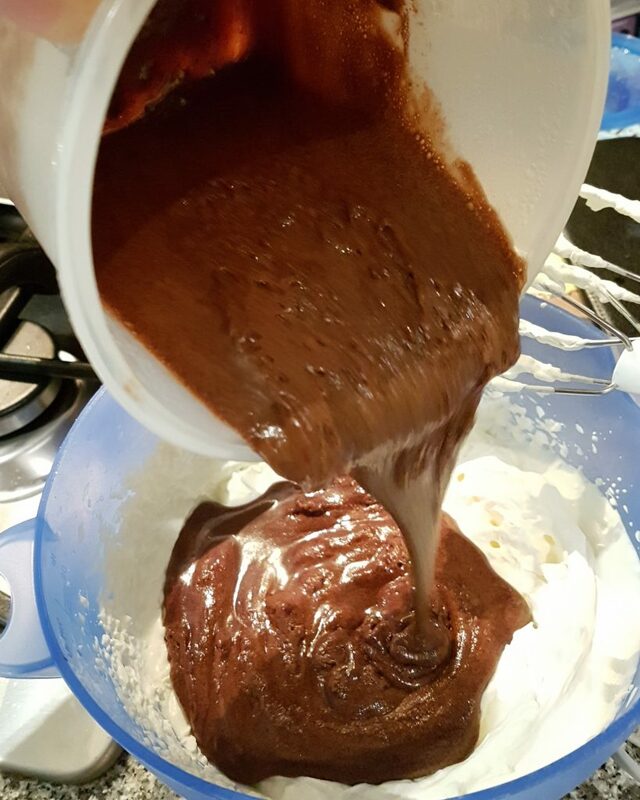 Once the marshmallows begin to melt, add the chopped-up chocolate (if going for the chocolate version, of course), and the vanilla extract (if using). Looking good! 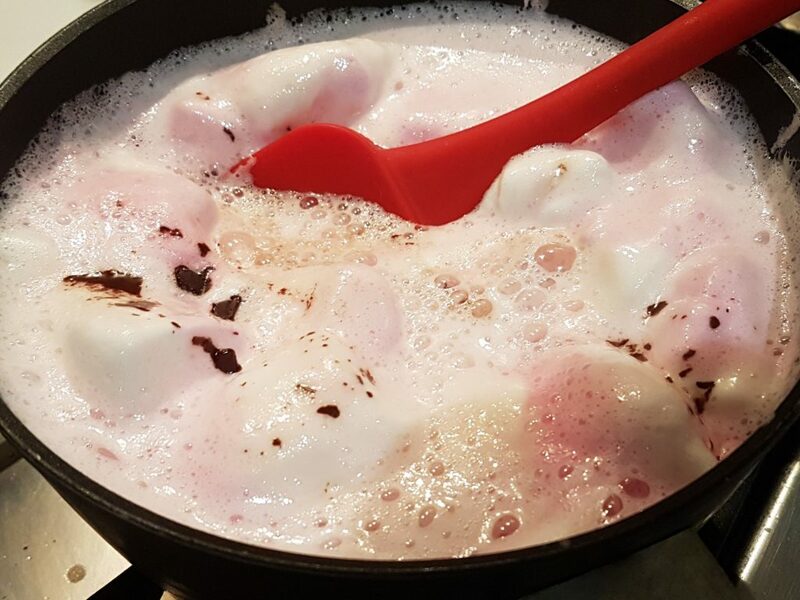 While whisking the mixture to avoid accidents, keep up the heat until all of the marshmallows and the chocolate have melted. Set aside for now to cool down, and preferably chill in your fridge for at least an hour or two. When the time comes for churning the ice cream, begin whipping the cream to rather stiff peaks. 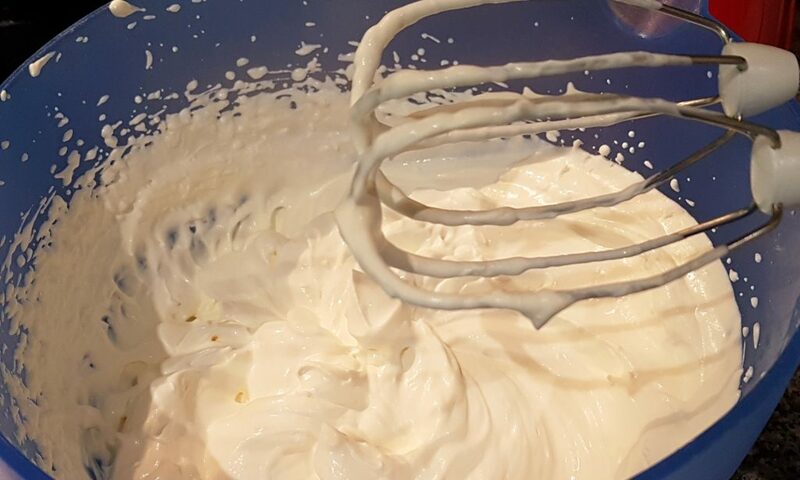 We’ll be mixing the cream with the marshmallow-part of the base, and the whipping will help by adding more air to the final ice cream – great for the overall consistency! Time to mix our hard-whipped cream with the cooled-down marshmallow-milk mix. And notice how relatively thick the marshmallow-mix has become by now. Since the result should be quite cold already, we can start churning (or still-freezing) right away! Quite tempting. I had a hard time keeping myself from starting to savour the ice cream straight out of the churning bowl. Marshmallow Chocolate ice cream. freshly churned and delicious! Tasty, nice, great consistency …. 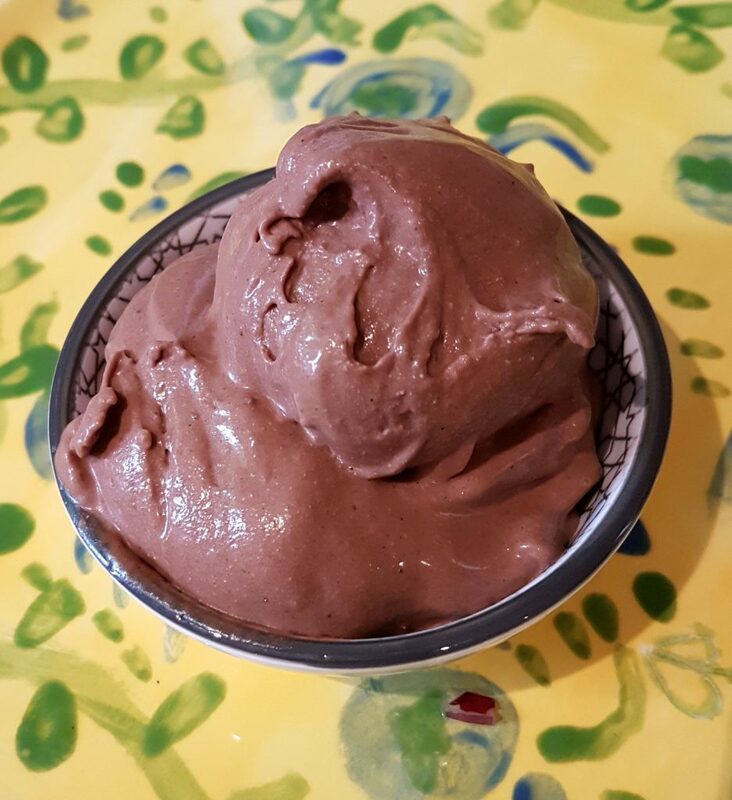 this deceptively simple ice cream immediately won the hearts of both the kids and the adults I tested it on. Yes, to my immense pleasure, it even managed to win over those grown-ups who initially had been ready to dismiss it as a “children’s ice cream”. The recipe definitely caters well to chocolate lovers, but if you’d prefer to feel more of the marshmallows as such, you’re free to reduce the amount of chocolate or even omit it altogether. The base (without the chocolate) should, in itself, be quite versatile so I encourage you to experiment with other flavours too. Again, the recipe is well worth trying out even for those not normally so fond of “candy ice creams”. Clearly, marshmallows are more than mere candy … particularly when it comes to ice cream-making! Marshmallows might well be THE best suited candy for ice cream making there is! This delicious and easy-to-make recipe is destined to seduce the young and the older alike! Since the recipe works as a kind of base-recipe, this chocolate version can easily be made with marshmallows-only, or with other possible flavours you might fancy! about 75-100 gram dark chocolate of good quality (I used 70% Nicaraguan quality chocolate); NOTE that the amount depends on the degree of chocolate-dominance you desire. If you'd prefer a pure, no-chocolate at all-version of the ice cream, you could of course also omit the chocolate completely! Put the milk in a saucepan and add the marshmallows. (If going for the chocolate-version:) Chop up the chocolate in pieces, and add them to the mix. On low heat, ensure that the chocolate and the marshmallows melts into the milk. Let cool down. 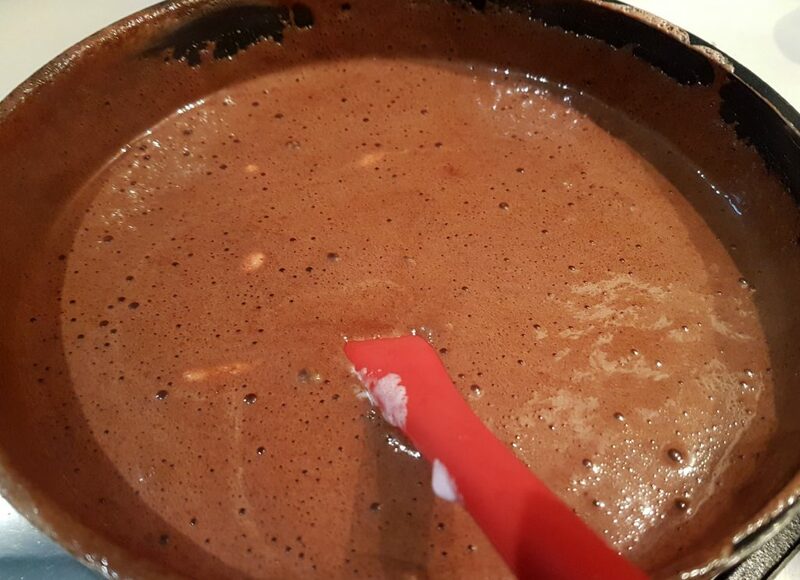 Whisk the cream stiff and blend it into the (now) cold chocolate/marshmallow milk mix. Freeze in your ice cream machine, or still-freeze using only your freezer. Yup – the recipe works fine without chocolate too. 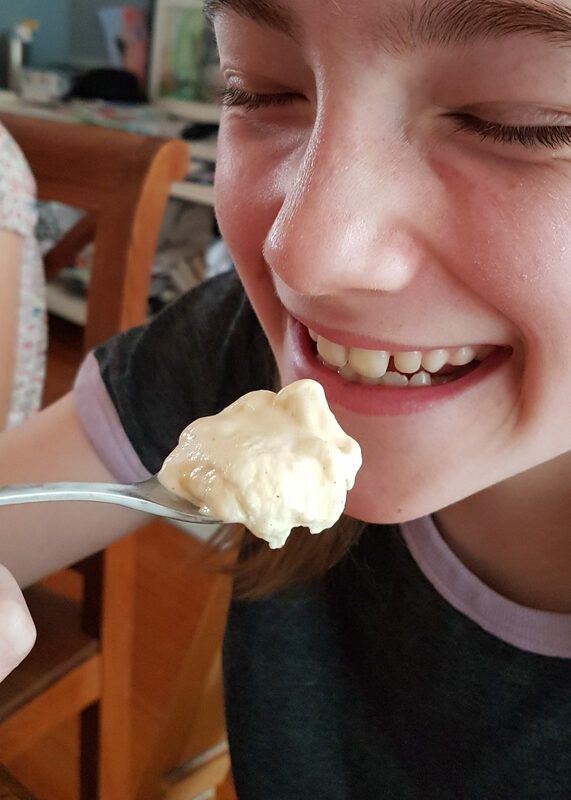 This is a nice Marshmallow ice cream made on (yellow-coloured) marshmallows. Interesting to know where marshmellows originated from. I was kind of shocked when I read that they were used medically to treat sore throats and coughs considering how sweet i know them to be, then I saw that they were made from honey and roots. Anyway, this looks really delish, I would love to try make my own icecream at home. “Since the fluffy blocks are made up almost exclusively of sugar and starch” ….. I don’t know where you got this info, but it is plain wrong. Modern marshmallows only have starch on their surface, to avoid sticking to each other. They’re made of sugar and animal gelatin, along with some stabilizers, colorants etc. Your recipe looks well balanced and tasty though! Hi Stay Puft, and thank you! You are absolutely right: While there are some types made without gelatin, most modern marshmallows are, indeed, made up largely of gelatin. I have corrected the text accordingly – thanks again for your vigilance 🙂 . And yes, the recipe is tasty – with or without the chocolate. I make homemade ice cream. Upon freezing it becomes too hard VERY to scope. Do you have any suggestions? I assume that your problem is general, rather than connected to this particular recipe? 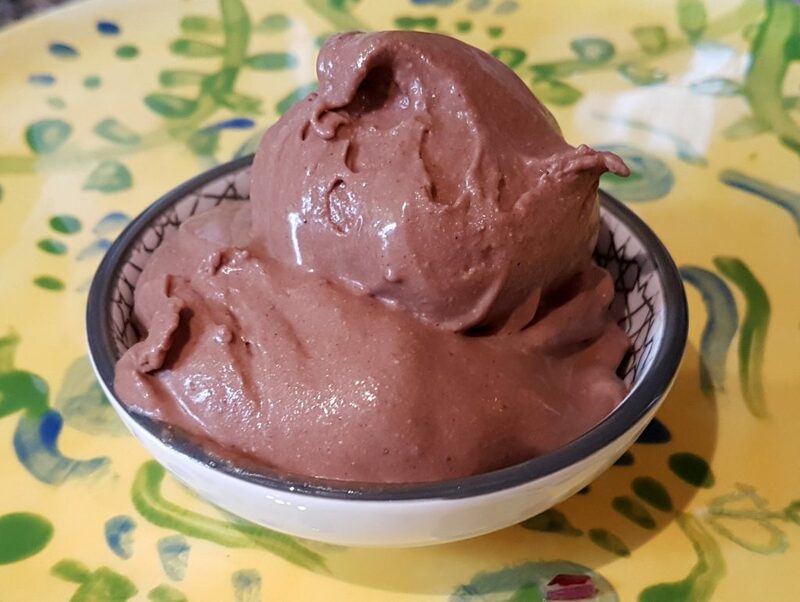 First of all, homemade ice cream almost always freeze harder because the freezers we keep in our homes typically are colder than the display-freezers used in ice cream parlours. Another reason is that many commercial ice creams contain industrial grade so-called stabilisers and emulsifiers designed to keep them soft and scoopable. Many home-ice cream makers and those keen to stick to genuine/pure/natural ice cream tend to prefer to do without these additives. In that light, it is only natural that many homemade ice creams might need a little time to thaw a little before serving. 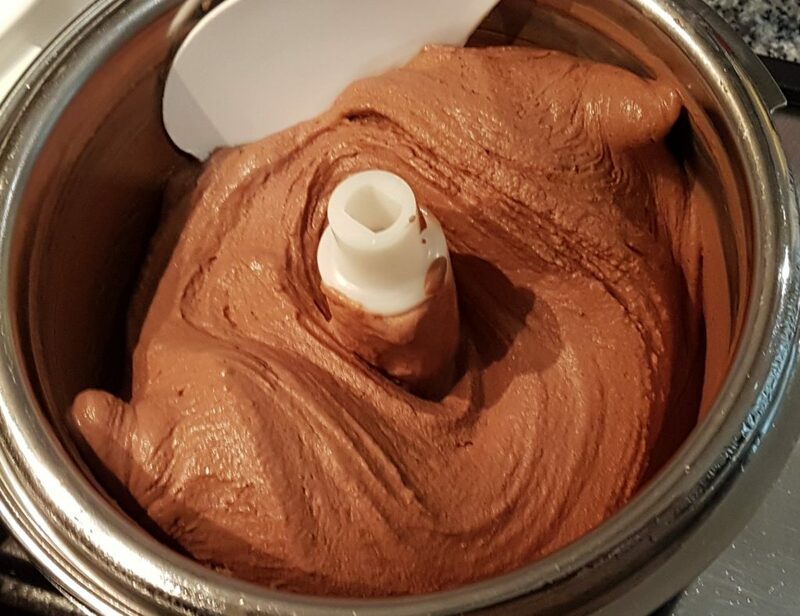 However, if you suspect that your ice cream freezes too hard for other reasons, you might want to check your recipes and/or the way to prepare the ice cream. To name a few, common reasons for too hard-frozen ice cream include using proportionally too little sugar and/or too little fat, having too little air mixed into the ice cream, or having too little so-called solids in proportion to the liquid ingredients (check the ice cream science-page for some useful pointers). Once you have an idea of what might be wrong, you can likely correct the problem (for instance by adding more sugar, if this might be the problem). 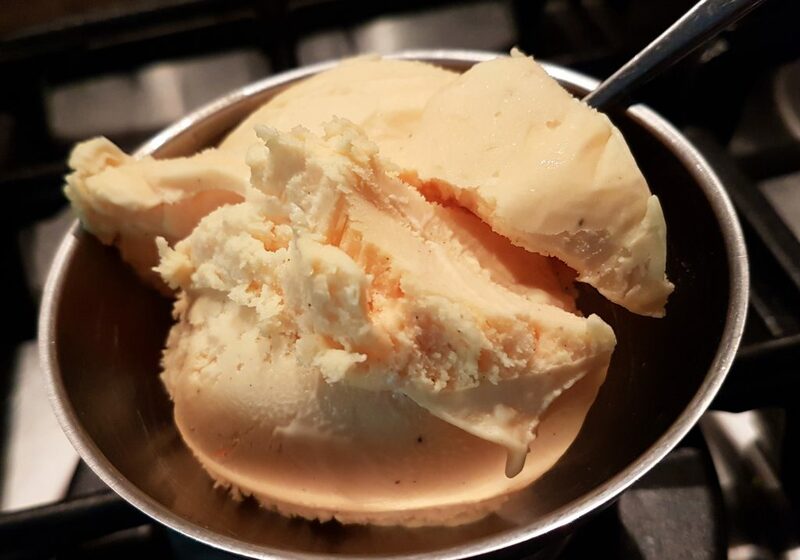 I should add that the addition of a (smaller) amount of (preferably neutral) alcohol is a tried and tested trick to help keep an ice cream more scoopable, as the alcohol (like sugar, actually) will hamper the overall freezing and thus keep the ice cream softer and more scoopable. 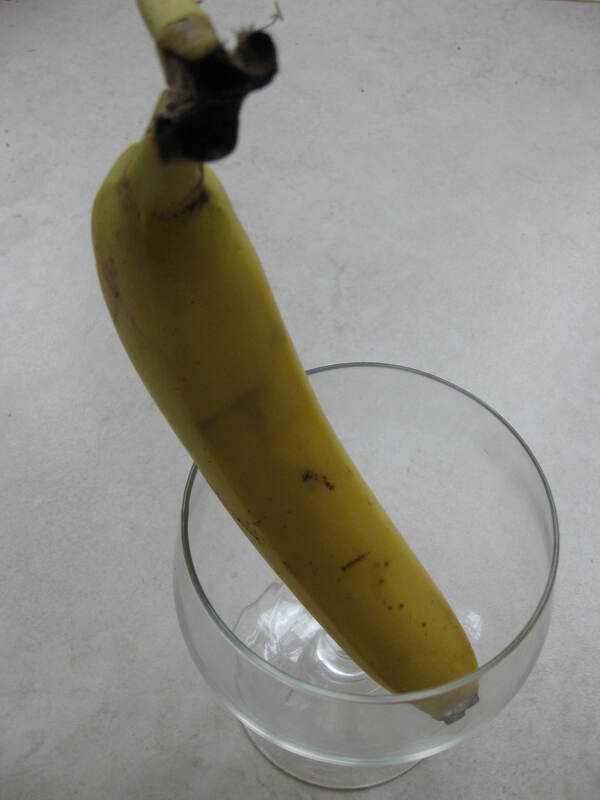 Just don’t overdo it – too much alcohol, and the ice cream might end up not freezing at all! Best of luck!